Today’s newspapers appear to live in a time warp: Jawaharlal Nehru University’s Kanhaiya Kumar, Umar Khalid, and Anirban Bhattacharya — who have since moved on with their lives — are back in the news. 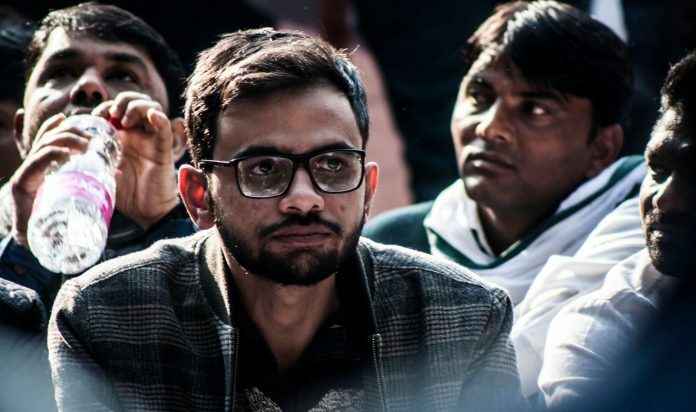 They have been charged with sedition for alleged comments made on February 9, 2016, “three years after they allegedly raised “anti-India” slogans at an event at the university” (Hindustan Times). The Times of India boasts of being “the first to report, in Monday’s edition, that a chargesheet would be filed in a court on Monday”, but fights shy, today, of the word “sedition” in its headline, “2016 JNU protests were outcome of a well-planned conspiracy: Chargesheet”. Surprisingly, The Indian Express has no page 1 report on the case — perhaps because of two rather large advertisements? In a grave matter like sedition, the evidence, needs to be assessed, carefully. However, the newspapers choose exhaustive, even exhausting, detailed coverage of the Delhi Police chargesheet instead: “the investigation into the JNU sedition case can be called one of the most exhaustive probes conducted by Special Cell in recent years,” writes TOI, in “When sleuths turned college-goers”. Confusing? So is most of the reporting — no one really seems to know what is going on. “Bulandshahr: NSA against 3 held for cow slaughter” finds a single column space on page 1 of Express and Hindu. However, The Telegraph from Kolkata leads with it — and that too strongly. It says the three “have been slapped with the National Security Act to ensure they are denied bail”. Meanwhile, a main accused in the incitement of violence, Yogesh Raj, features on posters “extending Makar Sankranti and Republic Day greetings” on behalf of the Vishwa Hindu Parishad and Bajrang Dal. On the edit pages, Abhinav Kumar, “an IPS officer serving in Kashmir”, writes a strongly worded piece, “Propaganda in an exit” (Express). He takes on IAS topper Shah Faesal, who resigned from service last week, citing the unabated violence in Jammu and Kashmir and government indifference as reasons for his resignation. His comments are likely to stoke controversy given Faesal’s popularity among liberals. The sedition case against Kanhaiya Kumar and others, Monday, saw Zee News in a combative mood. The channel has taken a very strong line against Kumar since the February 2016. Now, one of its videos has been included in the Delhi Police chargesheet. At the time, the channel had aired a “Pakistan Zindabad” video that was later said to be fake. On Monday, anchor Sudhir Chaudhary chose to politicise the chargesheet. He played clips of Congress president Rahul Gandhi speaking in support of Kumar, three years ago. Chaudhary also claimed that Congress leader Shashi Tharoor had compared Kumar with freedom fighter Bhagat Singh. Republic TV’s 10 pm debate tackled the sedition case, too. Anchor Arnab Goswami alleged that “some media groups, NGOs” in order to protect Kumar and the others, had “tried to change the line of Bharat tere tukre honge, Inshallah Inshallah” heard at the event. Goswami attacked the Congress in the earlier 9 pm debate. How will Congress run a 20-party coalition at the Centre when it is not able to run Karnataka with just two parties, he demanded. This is a reference to alleged attempts at MLA-trading in Karnataka. Since Congress spokespersons don’t appear on Republic TV, NCP spokesperson Sanjay Tatkare had to speak on its behalf: the BJP had grown “so restless in 200 days out of power, that by hook or crook’’ it wanted to capture power, he said. Aaj Tak anchor Rohit Sardana was also after the Congress, this time in Uttar Pradesh: had the Congress’s popularity fallen so low that SP-BSP did not consult it on their seat-sharing formula, he asked. Unwilling to comment on potential allies, Congress spokesperson Priyanka Chaturvedi simply said the party would contest all 80 seats from UP in the Lok Sabha and defeat those wooing voters on the basis of caste and religion. For the second time in as many months India Today’s Rajdeep Sardesai interviewed Meghalaya chief minister Conrad Sangma on the 15 miners trapped in a rathole mine. Was there any hope for them 32 days after the accident, Sardesai asked.